You probably "bridge through 10" without even realising it when you're adding up numbers in your head. We explain how this method will be presented to your child in the classroom and how you can help them practise at home. 'Bridging through ten' is a method that many people use (possibly without realising it!) to add numbers mentally. 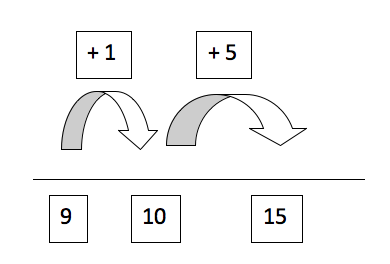 This method relies on children knowing their number bonds to 10, therefore it is important that a teacher is confident that the whole class know their number bonds to ten off-by-heart before teaching this method. Children also need to be able to mentally add a number ending in 0 and a single-digit number (that is, they need to know, for example, that 10 + 6 = 16 and work this out without having to use their fingers). The point of teaching the bridging through 10 method is that it will help children to add numbers mentally. It is quite possible that you (the adult) already use this method without having been taught it,because it is a quick and efficient way of adding numbers without having to count on your fingers! 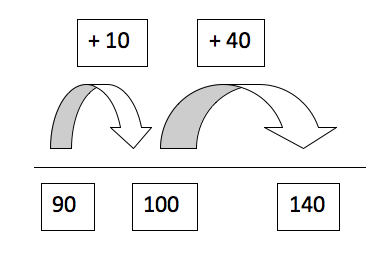 Teachers will most likely teach the bridging through 10 method by giving a demonstration on the board, and then by giving the children a worksheet with number lines already drawn for them on which to work out their sums. When are children taught the bridging through 10 method? 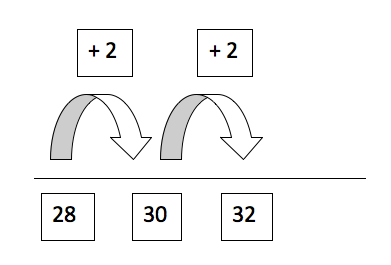 It is possible this method would be taught in Year 2, but it is more likely to be taught in Year 3. The method is not compulsory under the 2014 curriculum, but teachers often teach it to help children speed up their mental maths skills. If your child finds the bridging through 10 method useful when they're adding, practise together to help them build confidence and speed.